Transparency is the stated goal of government, but sometimes a little help is needed before bureaucrats achieve the full measure. In an unprecedented action, unrealized since Tom Fallon, editor of the Bay City Times, published a similar list of local institutions in the 1970s, the Michigan Press Association, Mackinac Center for Public Policy and Michigan Coalition for Open Government released a new, searchable database containing the salaries of nearly 300,000 public employees in Michigan. The disclosure by The Times not only revealed the amounts made by various officials but stripped the veil off the inequities between the pay of women and men doing the same or very similar jobs. 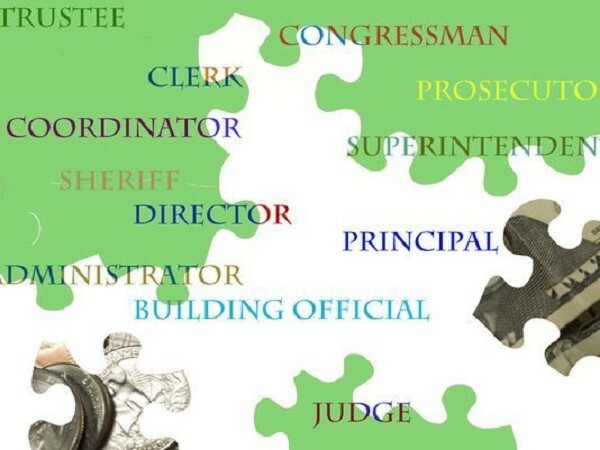 The Michigan Government Salaries Database is the latest effort to make state government more transparent and accountable. The 296,895 individual employees included in the database constitute nearly every school and community college employee, about half of state government workers, and all state police officers and judges. The five highest-paid education employees are all community college presidents and all received over $250,000 per year. The 10 highest paid state employees tend to be wardens at state prisons and each received over $350,000 per year. Approximately 150 employees are paid for "Employer Professional Services Leave," which typically refers to union release time. This is the practice of relieving public employees of their normal job duties so they can work full time on union-related issues. More than 2,700 government workers earn more than the Governor does ($159,300). "The people of Michigan pay the salaries of government employees, so they have a right to know what they are making," Reitz said. "This information is currently available to citizens, but often requires a lengthy and expensive FOIA process to obtain. As advocates for a transparent and responsive government, we are pleased to make this information accessible to everyone." The database is available at www.MichiganGovernmentSalaries.com. "As part of our government transparency project, the Mackinac Center often obtains data on the compensation of government employees in Michigan," said Michael Reitz, executive vice president of the Mackinac Center. "We use these public records to fact check claims about salaries, verify data from other open records requests and hold governments accountable for their spending. We and our partners now offer this database as a service to taxpayers and other watchdogs." "Transparency and accountability are what we expect and the law requires from our public employees," said Jane Briggs-Bunting, founding president of MiCOG. "Salary information is important. This database can provide information on whether there are disparities based on gender, race, ethnicity, etc. As employers, citizens should know what they are paying their public employees." "The Michigan Press Association feels that this database will be an important resource for Michigan citizens," said Lisa McGraw, MPA public affairs manager. "Taxpayers are the employers of public employees and they now have the ability to find out how much those employees are being paid." While the database is not the first to list the compensation information of Michigan's public employees, it is the most extensive available for public access. It contains three years worth of compensation information and the groups intend to update the records in the future as more information becomes available. The information was obtained through Freedom of Information Act requests to the state pension systems.